The leaks just keep on coming. This time we have what looks like the successor to the X10 mini or X10 mini pro according to the guy that leaked them on IT168. The images clearly show the unnamed device running Android Gingerbread and will apparently come with a 3-inch (320 x 480) multi-touch display, 1GHz processor and the Adreno 205 GPU. The hardware buttons on the front face are in reverse order compared to the existing Xperia X10 range and is consistent with most models leaked to date including the ANZU. 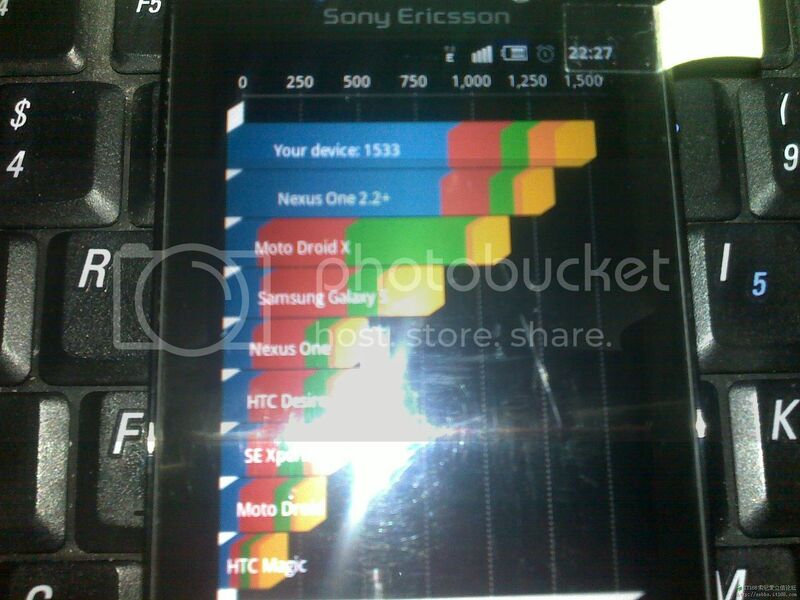 The handset gets some pretty good Neocore (42.5fps) and Quadrant (1,533) benchmarks too. Check out some larger images after the jump. With a 3 inch screen wouldnt this make it a successor to the x8? The design looks similar to my Sony NWZ-X1060 PMP player with the semi-circular home button at the bottom. If only it has mega bass, dolby digital sound and noise reduction functions with a Tegra 2 chipset….else no deal. I think this is SE realizing that the minimum screen requirement for a smart phone is 3 inches. The x10 minis are let down in the main by those qvga small screens. A blunder I see they are avoiding this time round. Well good to see that they are at least learning something even though you could argue that using that sort of screen on the x10 minis was a very elementary mistake… one that was probably made at the behest of the marketing idiots who seemed to have held sway over the developers in the development of the x10 range. Lol ? 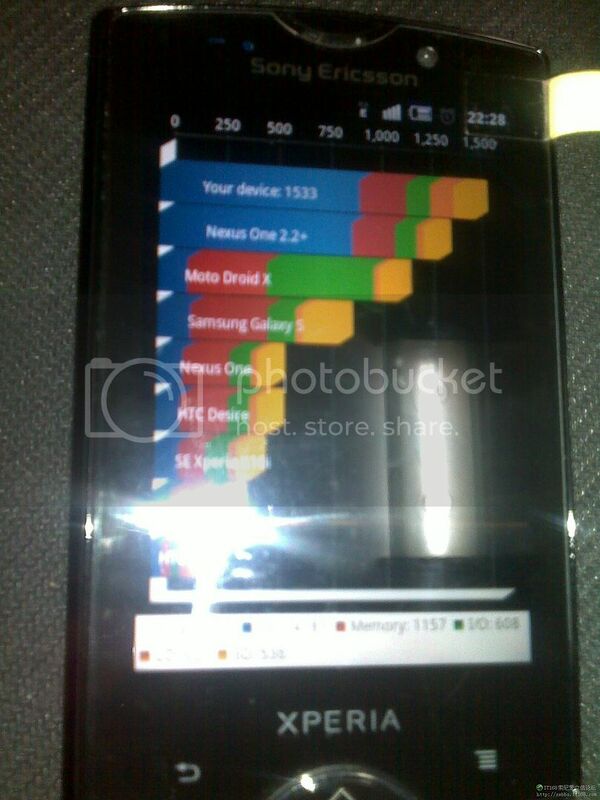 that phones gets a higher quadrant benchmark than nexus one ? or am i seeing things . . .. Graetttttt!! !…..Very Very Beautiful e very Slym…..Now is OK!!!! 😉 😉 and my Future Phone!! SONY ERICSSON IS KING . i like very much this phone . perfect design . The X10 mini pro is very useful because of the keyboard. I think if they combine the X8 screen with the X10 mini pro design they will have a great smartphone that will appeal to a lot of people! The mini’s are a huge success for SE, it outsells many many high end phones in the scandianvian countries and through Europe. Does anybody know where I can DL this testing thingy? @TheLoyalist: I think one factor the mini & mini pro sells like pan cakes is the price. not many phone out there have a very attractive price that comes with great features. At around 14,000-15,000 PhP (318-341 USD), it comes with Android 1.6 (Donut), 5-megapixel camera, GPS, bluetooth, wi-fi, features that usually packaged at prices 16k PhP and up. although, one let down is SE’s slowness to give out updates. Samsung is already catching up, with comparable specs and prices, and much up to date OS. The price of an X10 mini is $150 in my country while a Galaxy S is still around $600 -$650. For what it does – calls, basic internet browsing, GPS, FM radio, social networking, e-mail etc.. it’s not too shabby at all. If you want to pay an extra $500 for Flash adverts and pinch to zoom, be my guest; I’m sure HTC and Samsung will be more than happy to take your money. It seems successor to Xperia X10 mini series. Then which is this code name? The mini pro rocks, not everyone wants a 4 inch brick. This phone does appear to be more of a successor to the X8 which is a shame because I still feel the X8 is a little too big. Give me a mini pro with 2.5-2.7″ 320×480 and shave off 30 grams of weight and it would be the perfect phone. I bet you could loose your data even faster with the new trojans for Android too! I’m telling all my peeps to stay away from Android. It’s not a good platform. I love Google, but this product they made is just not good. what do u smoke ? Google did not made ANDROID , they bought it . If it dimension will be like X8 and functions like X10 mini and X10 mini pro it will be big hit. This depends of camera. This model mast have at least 5 MPX camera. Only than it will survive battle. 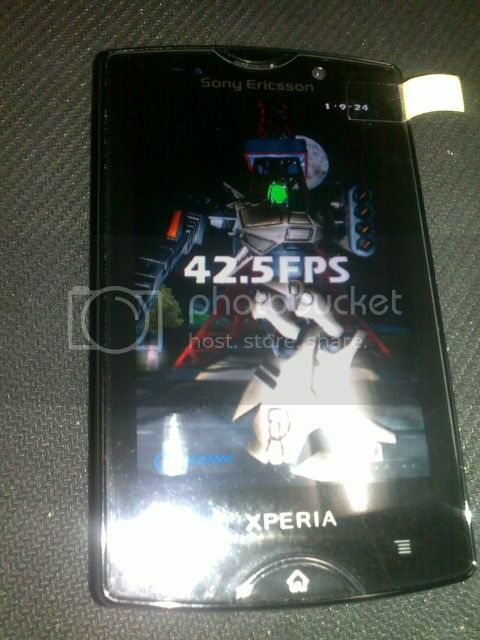 Another Sony Ericsson Android leaked in China, successor to the X10 Mini Pro? Best Android Games reviewed » Blog Archive » Another Sony Ericsson Android leaked in China, successor to the X10 Mini Pro? The Xperia X10 Mini Pro’s Successor Leaked! Le successeur du Sony Ericsson Xperia X10 mini pro serait-il une bête de course ? iPhone Games » Sony Ericsson’s Followup To The X10 Mini Caught On Camera? Previous post: Sony Ericsson ‘Hallon’ caught in the wild? Next post: Our new sister site has launched today!